Same, never take things for granted that’ should be the #1 rule in the Zombie apocalypse. Welp......they’re #1 now. Pewdiepie still has whatever mansion he lives in with his millions of youtube dollars, he’ll be fine. Am i the only one sick of mourning Lee? exactly. She's the #1 most underrated S2 character. 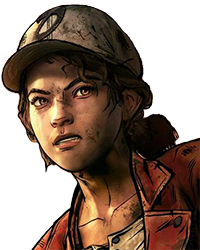 What is the #1 thing you want to see in the final episode of Clem's story? Or is there any one thing you want to see for Take Us Back? Much like the last Wreck-It-Ralph movie, this one's got a good, catchy song I can't get out of my head. It's so... Jumpin'. And the video's surreal. Very surreal. What Was Your Favorite Walking Dead Moment? What are the power levels of each character? You forgot Shaggy at the #1 spot! Rule #1 Never underestimate the enemy... even if He/She is incapacitated . * From #1 if your answer is Yes, What were your expectations when you invested in it? Clem started off as white in pic #1. When Lee was created, she was changed to better compliment him. 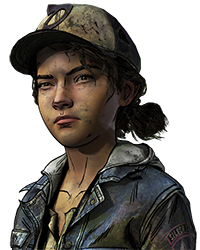 As a result, Clem became black in some fashion (we can at least agree her daddy was black, right? 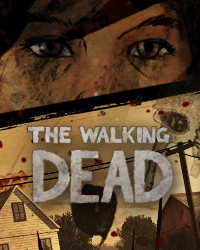 The Walking Dead Films - Clementine could appear?